Updated Saturday September 1, 2018 by Manager NCTRSL. General league rules and regulations are listed below. Detailed rules and regulations can be found by clicking here. Rules enforcement will be upheld by league provided certified referees who will follow and uphold the League provided Referee Rulebook. 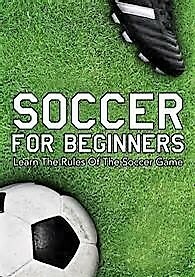 *It is recommended that each coach review, learn, and adhere to this rulebook. NOT ALLOWED: HARD CASTS, BASEBALL HATS, METAL CLEATS, SUNGLASSES. HOME TEAM IS RESPONSIBLE TO PROVIDE A SAFE FIELD TO PLAY ON. IF A TEAM IS SHORT PLAYERS, THEY MAY REQUEST THE OTHER TEAM MATCH, BUT IS NOT REQURIED BY THE OPPOSING TEAM. 5 PLAYERS MINIMUM TO START A GAME. TWO- 24 MIN. HALVES ARE PLAYED WITH A 5- MIN. HALFTIME. GAMES CAN END IN A TIE. NO OVERTIME IS PLAYED. NO INTENTIONAL HEADING THE BALL. IN-DIRECT KICK FOR THE OPPOSING TEAM. UNLIMITED TRIES FOR A THROW-IN. TEACH THE KIDS. TWO COACHES PER TEAM ARE ALLOWED ON THE FIELD DURING THE GAME. FANS/PARENTS MUST BE ON THE OPPOSITE SIDE OF THE COACHES/PLAYERS. NO MERCY RULE. USE YOUR HEAD. NO NEED TO RUN UP THE SCORE. OFF SIDE IS NOT ENFORCED. PENELTY KICKS ARE NOT GIVEN AT THIS LEVEL. AN INFRACTION INSIDE THE PENELTY BOX WILL BE PLACED AT THE TOP OF THE BOX. AFTER ANY INFRACTION, THE GAME ONLY RE-STRTS ON THE REFEREE’S WHISTLE. NO QUICK RESTARTS. THE REFEREE HOLDS THE FINAL DECISION ON ANY CALLS DURING THE GAME. ANY JUDGEMENT CALL BY THE REFEREES WILL BE FINAL. THE REFEREE HOLDS THE FINAL DECISION ON HOW LONG THE GAME WILL LAST. HE/SHE HAS THE RIGHT TO ADD TIME TO EITHER HALF DUE TO TIME WASTING, INJURIES, EXCESSIVE SUBSTITUTING OR ANY OTHER REASON THEY CHOSE. REFEREE ABUSE WILL NOT BE TOLERATED. COACHES ARE RESPONSIBLE TO KEEP THE FANS IN CHECK. REFEREES KNOW THE DIFFERENCE BETWEEN GAMESMANSHIP AND ABUSE. ARGUING A CALL IS ALLOWED, ABUSE IS NOT. IF A TEAM IS SHORT PLAYERS, THEY MAY REQUEST THE OTHER TEAM MATCH, BUT IS NOT REQURIED BY THE OPPOSING TEAM. 7 PLAYERS MINIMUM TO START A GAME. TWO- 25 MIN. HALVES WILL BE PLAYED WITH A 5- MIN. HALFTIME. SUBSTITUTIONS ARE UNLIMITED AND ARE ALLOWED AT ALL STOPAGES OF PLAY. ILLEGAL GOALIE TOUCH-VEBAL WARNING FOR FIRST OFFENSE, THEN IN-DIRECT KICK. ONE TRY ON A THROW-IN. POSSESION TO THE OPPOSING TEAM. NO SLIDE TACKLING. AUTOMATIC YELLOW CARD INFRACTION. NO COACHES ALLOWED ON THE FIELD. ONE BEHIND THEIR OWN GOAL IS ALLOWED. 6 GOAL MERCY RULE IS IN EFFECT. AN AUTOMATIC LOSS TO THE VIOLATING TEAM. A PLAYER RECEIVING A RED CARD FACES A MINIMUM OF A 1 GAME SUSPENSION. TWO- 30 MIN. HALVES WILL BE PLAYED WITH A 5- MIN. HALFTIME. ILLEGAL GOALIE TOUCH IS AN IN-DIRECT KICK FOR THE OPPOSING TEAM. NO COACHES ALLOWED ON THE FIELD. MUST BE ON THEIR OWN SIDELINE.